Instead of giving a boring gift. Did you know that humans enter into micro sleeps? We fall asleep for 2-3 seconds without realizing we weren't awake. During these short spells, we are completely unaware of our surroundings. This poses an extreme threat for nighttime driving. Researchers claim that we could sleep for up to 8 seconds during these micro sleeps. This is more than long enough to wreck on a highway. In just 2-3 seconds a driver can easily drift into another lane, or off the road. For an incredibly low price (in our opinion), this anti-sleep alarm prevents people from dozing off while driving. 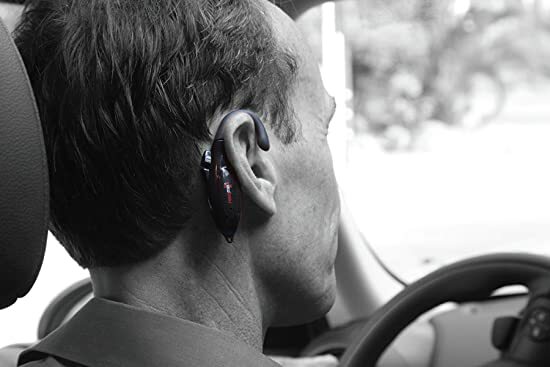 This little piece of technology fits behind the driver's ear while he or she drives. It makes an annoyingly loud alarm sound before the driver nodds off. The Goat's Gift Tip: Go ahead and buy one of these for anyone you know that frequently drives at night or experiences frequent sleep deprivation. Click here to view this item on Amazon.